"Sessions should have never recused himself and if he was going to recuse himself he should have told me before he took the job and I would have picked somebody else," the New York Times quoted Trump as saying. Jeff Sessions reportedly had offered to resign because of tensions with Donald Trump over the recusal. 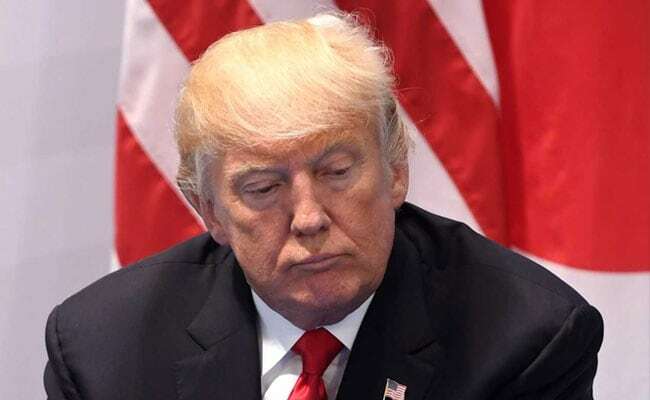 Washington: US President Donald Trump said on Wednesday he would not have appointed Jeff Sessions as attorney general if he had known Sessions would recuse himself from the Russia investigation, according to a New York Times interview. "Sessions should have never recused himself and if he was going to recuse himself he should have told me before he took the job and I would have picked somebody else," the Times quoted Trump as saying. Sessions recused himself in March from the probe into allegations of Russia's meddling in the 2016 US presidential election and possible ties between Russians and the Trump campaign. He did so after failing to disclose at his confirmation hearing that he had held meetings last year with Russia's ambassador. A Sessions spokesman declined a Reuters request for comment. There were media reports last month that Sessions, a former US senator who was an early supporter of Trump's campaign, had offered to resign because of tensions with Trump over the recusal. Trump also told the New York Times that a conversation he had with Russian President Vladimir Putin during a dinner at the Group of 20 summit in Germany earlier this month lasted about 15 minutes and was mostly about "pleasantries." That conversation has sparked controversy because it was only disclosed on Tuesday. Ian Bremmer, the president of political risk consultancy Eurasia Group, has said the meeting lasted about an hour.